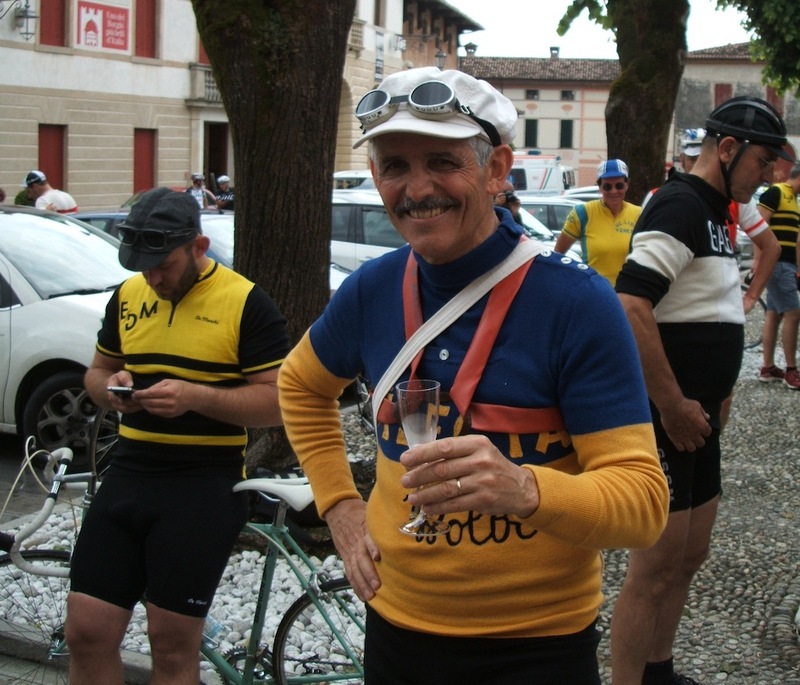 With vintage cycle rides becoming ever more popular, Cycling Weekly travelled to Italy on Sunday for the inaugural Ciclostorica Emilio de Marchi. 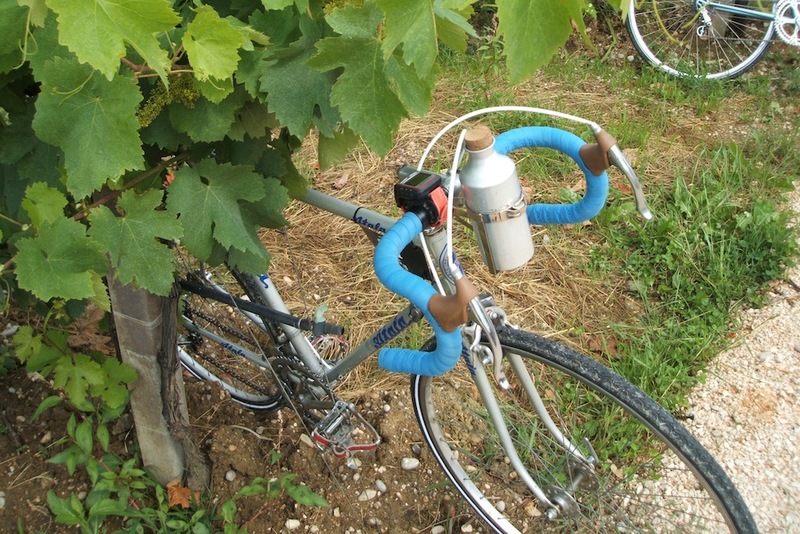 De Marchi is an Italian cycle clothing brand based in Conegliano, 60km north of Venice in the heart of the prosecco wine area. The ciclostorica is named for the company’s founder, who was a pioneer of cycle clothing in the 1940s and 50s, and is open to riders of bicycles built before 1987. 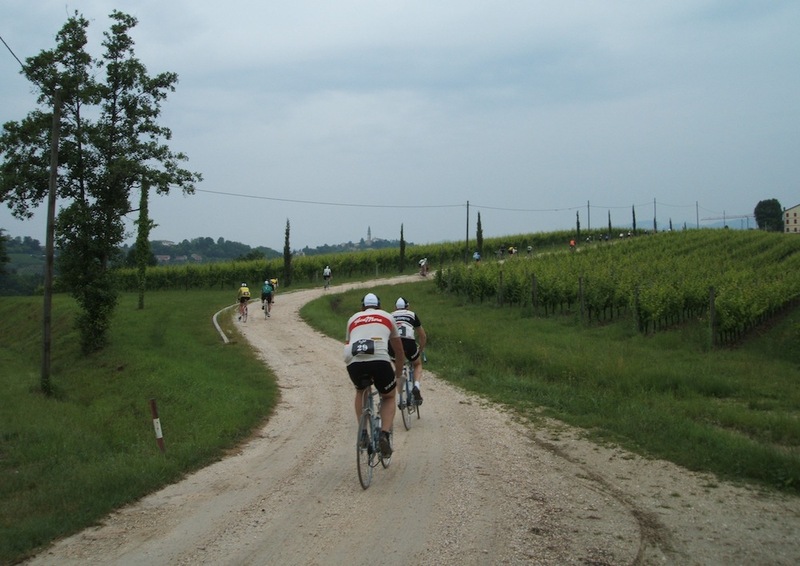 The 95km route took in paved roads and sections of strade bianche – gravel agricultural roads. There were around fifty cyclists on the inaugural ride, with some travelling from as far as France and Germany. 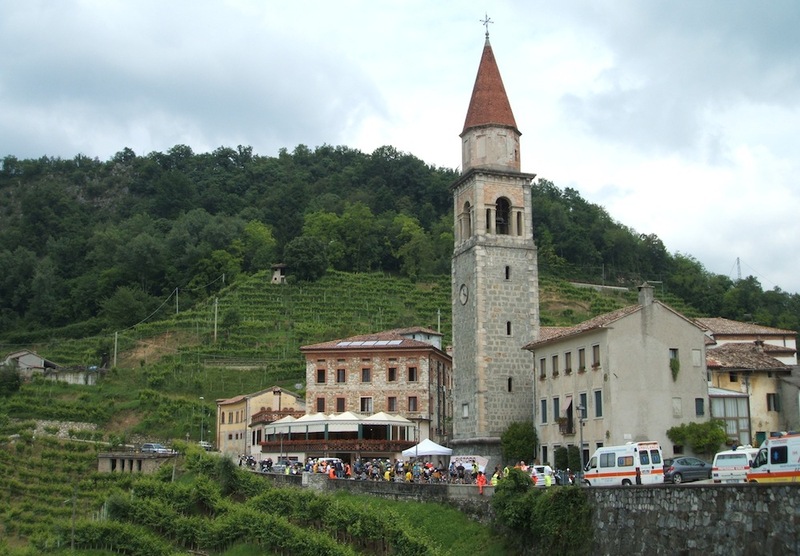 At 9 a.m. we set out from in front of De Marchi’s flagship store in Conegliano and headed out into the vineyards surrounding the town. We were soon climbing into the hills and taking in our first section of strada biancha, before the first of five rest stops. The route covered some of the roads used for the Giro d’Italia 14th stage time trial. 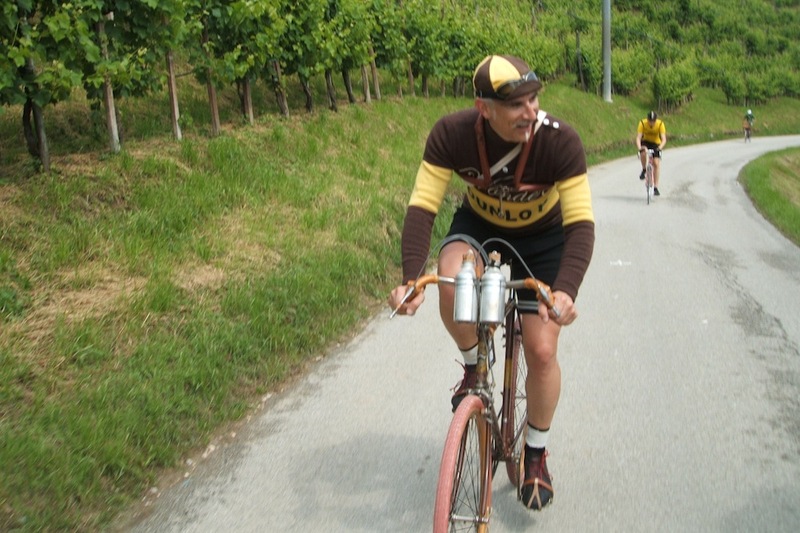 A vintage bottle – and a Garmin. Period details were not rigorously enforced. I rode a 1983 Bottecchia loaned by De Marchi for the event. In 1924, Bottecchia was the first Italian to win the Tour de France and founded the cycle manufacturer in 1926 before his premature death in 1927. 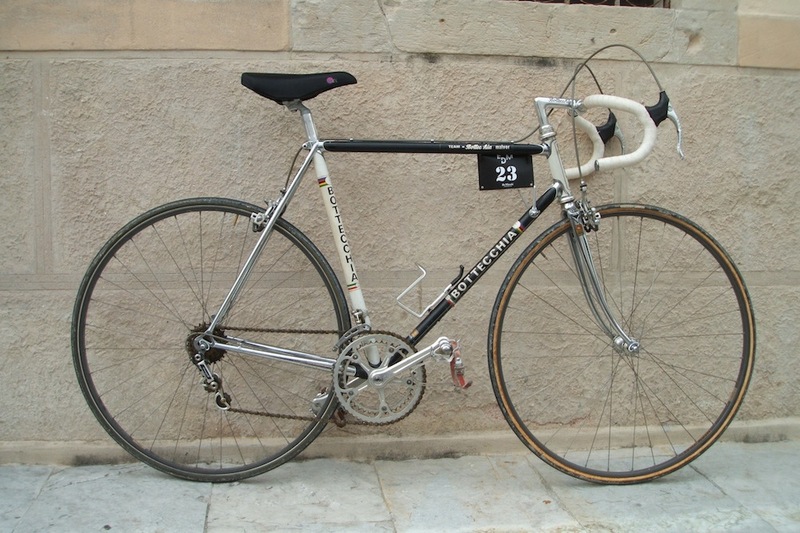 The bike had a Columbus steel frame and Campagnolo groupset, with downtube shifters, a 52/42 chainset and 14-24 sprockets. Despite its age, I found the bike remarkably similar to a modern model with a comfortable ride, predictable handling and reasonably effective brakes. The toe clips and straps took a bit of getting used to and I definitely did not feel as firmly connected to the pedals as I would with a modern clipless pedal. 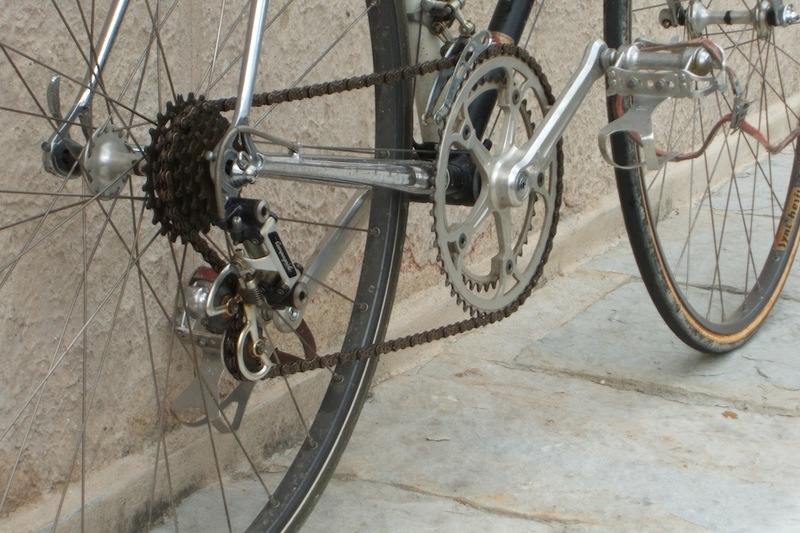 Once I got over the urge to push the brake levers sideways, the down tube shifters too were easy to get along with. The limited gear range meant that descents were often freewheeled and steeper ascents could turn into grinds. Another rest stop – the following convoy would have graced a race. The strade blanche increased as we headed back towards Conegliano. With around 10 km to go, I flatted on one of these sections, to discover that I was riding tubulars which looked as if they had been glued on when the bike was built. 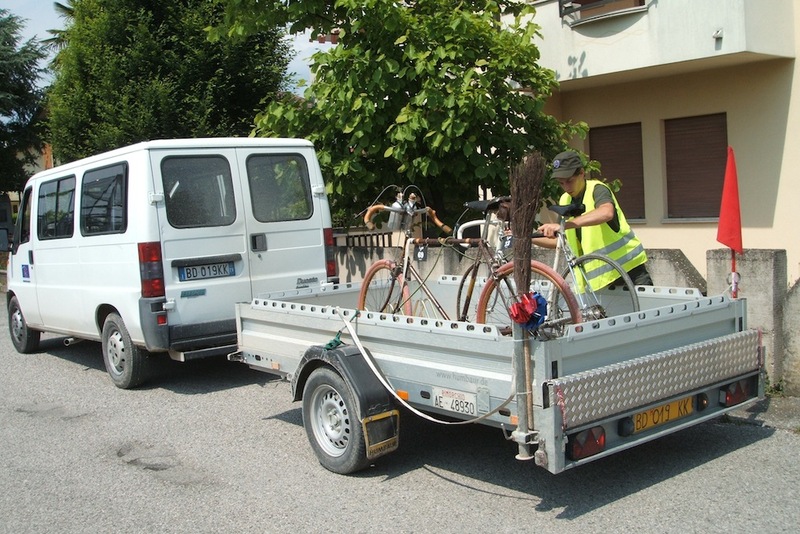 With no spare the ride ended in the broom wagon, arriving back in Conegliano in time for the post-ride pasta party and yet more prosecco. 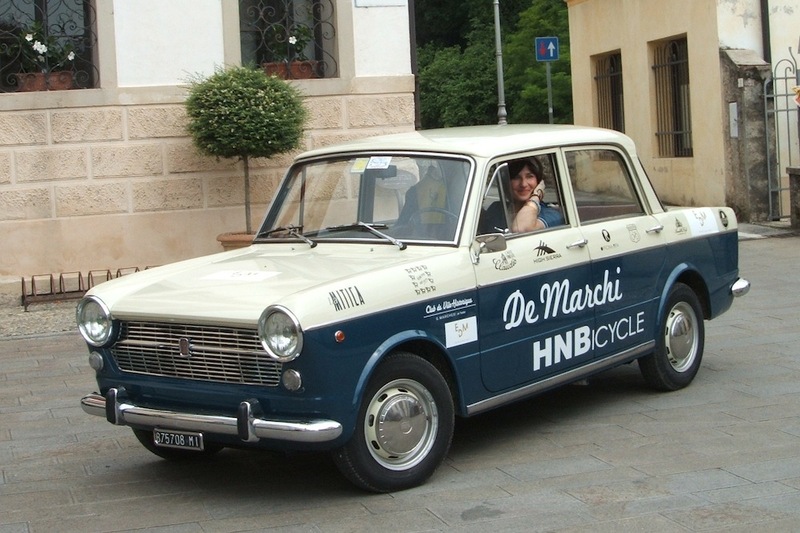 Cycling Weekly was a guest of De Marchi.